Tri Cities Real Music Variety! 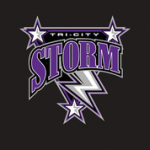 The Tri-City Storm continue preseason action this weekend at the “I-80 Cup” event at Ralston Arena. The Storm face off against the Sioux Falls Stampede Friday at 2:30pm, the Sioux City Musketeers Saturday at 2:30pm, and the host Omaha Lancers Sunday at 4:05pm. The Storm begin the regular season September 27th at the 2018 USHL Fall Classic in Pennsylvania. The team’s regular season home opener is Friday, October 12th against the Des Moines Buccaneers.